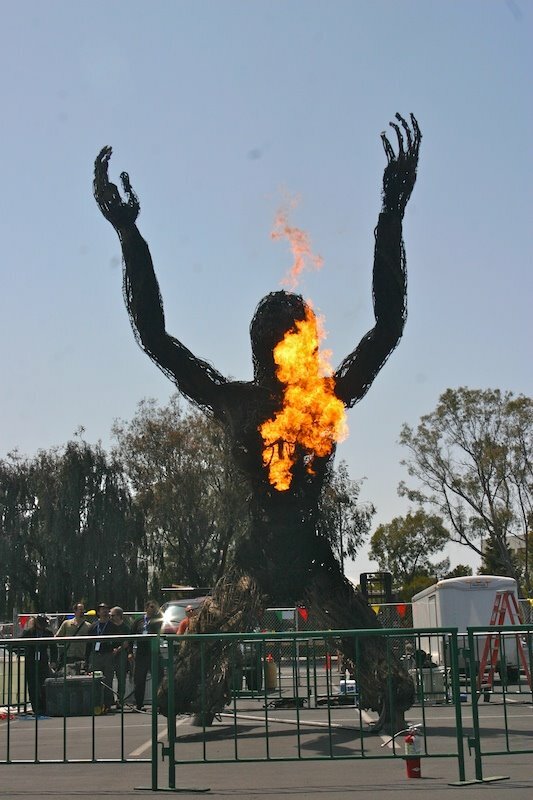 This weekend was the fabulous Maker Faire! Some of you may recall my post from last year here and here. There was so much more to see and do this year, which is hard to imagine considering how wonderful and practically over the top it was last year. The only problem was that there was so much to see, but not enough time and energy to see it all. I went with Phin, Mary and two of her girls and we did our best to see and make all that we could before we were ready to drop. I also got to see Snarky Dork again this year. She had a table teaching everyone how to make hamsters! Her table was so popular, I didn't get a chance to make one, but we said hello and thank you for the tix! 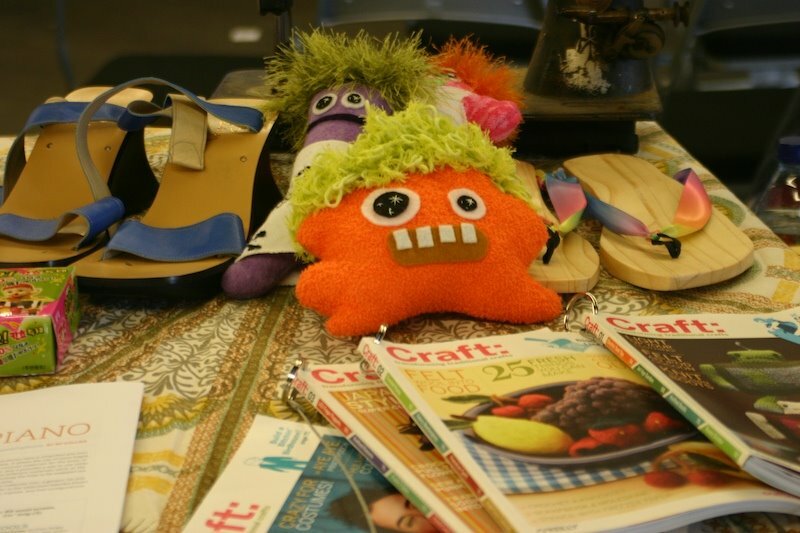 As I mentioned last year, Maker Faire is sponsored by Make Magazine and Craft Magazine. Whilst I appreciate and admire the creations in Make Mag, I can't understand it well enough to actually make anything in it. However, Craft Magazine...way more my speed and style. There are a ton of very challenging projects in Craft Mag, too...but I can handle fabric, wood and soldering much better than I can handle I/O interfaces, diodes, or Arduino boards. Motorized cupcakes. The driver sits in the middle with just her head popping out. 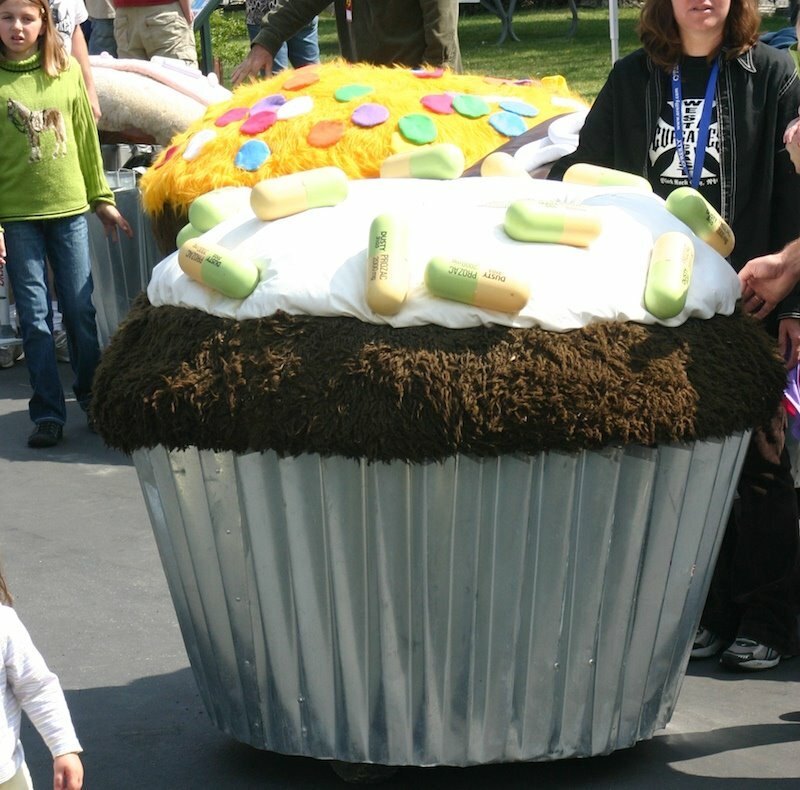 This one is decorated with Prozac sprinkles. 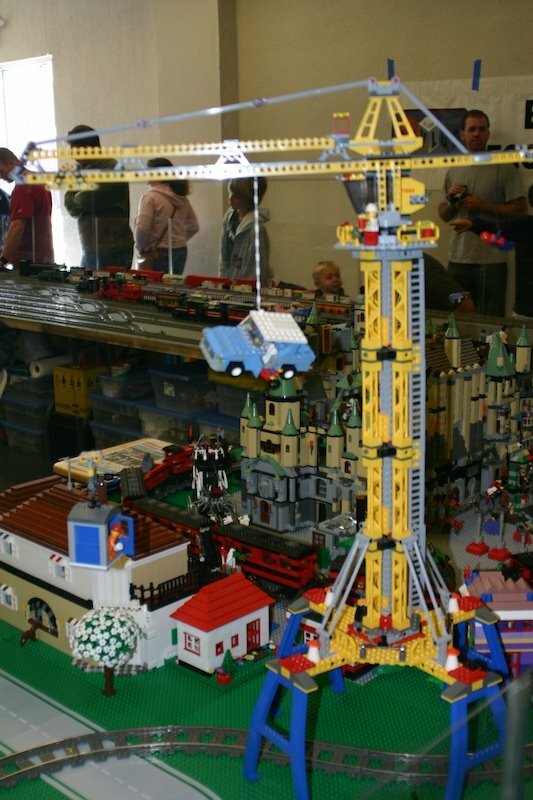 Legos are popular with the engineering mind. So it was no surprise that there was a whole room filled with lego creations. I've mentioned my unreasonable phobia of cranes before. If you enlarge the photo, you can see the driver falling out of her car. This is my worst nightmare. 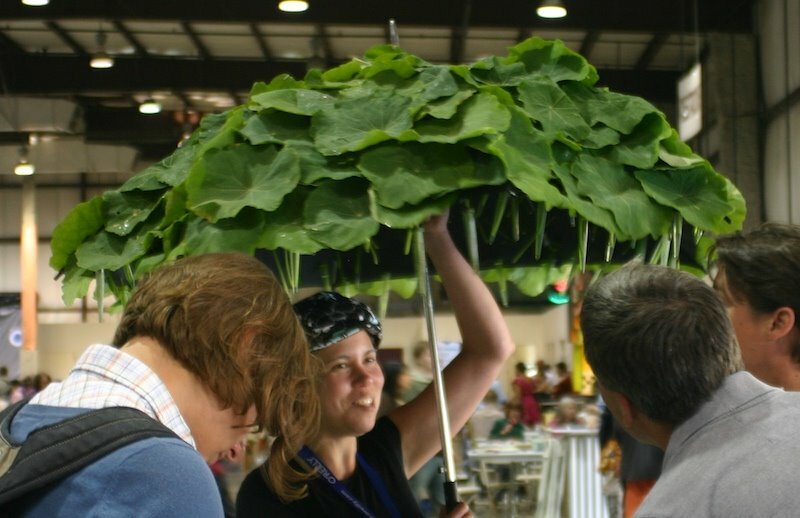 She made an umbrella out of live lilly pads. How cool is that???? 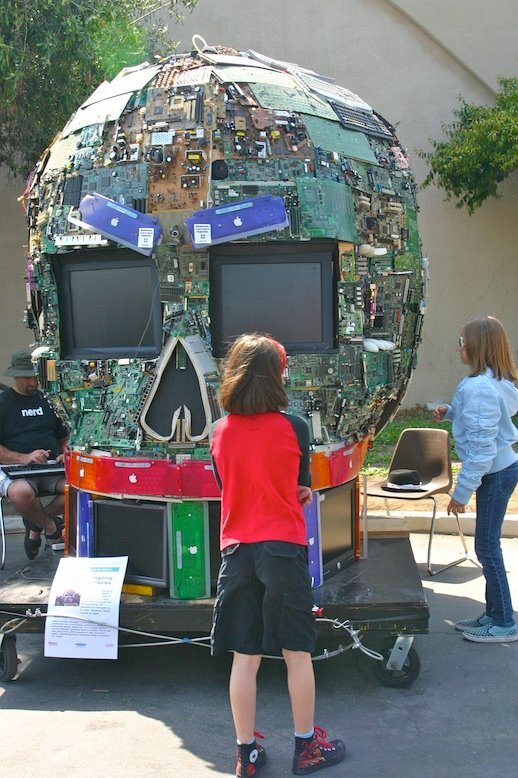 Mary's girls check out the skeleton head made of circuit boards and a couple of monitors. The skeleton head spoke to us...like the Wizard behind the curtain, there was a guy controlling the voice behind the scenes. There were a lot of awesome sculptures and art throughout the fairgrounds. But this was the most amazing piece to me. Her heart beat in flames. Each beat, a burst of fire came out of her heart. 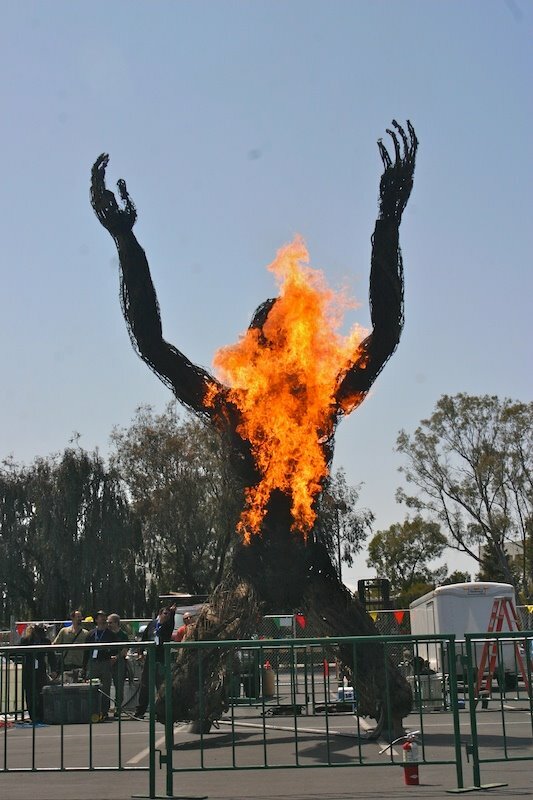 Then... every 20 seconds or so, she would be completely engulfed in flames. WOW! That looked like a LOT of fun. Would love to see all those creations up close & personal... does it come to L.A.? I like the circuit board / monitor head. nice shots! I know you love stuff like this, Mad. 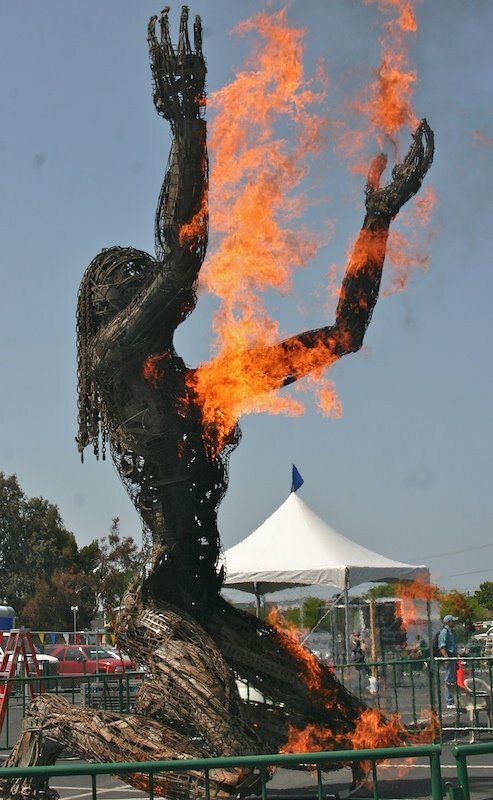 That fire lady is something else!! I have never heard of this event but from your descriptions and the pictures...WOW! Do you know how much fun the family would have here?!? Oh I wish I could take them. OH, Mad, that sounds incredible. And the sculpture is truly beautiful and interesting. I could see myself being lost in time at that event, so much to see, so much inspiration. squee! 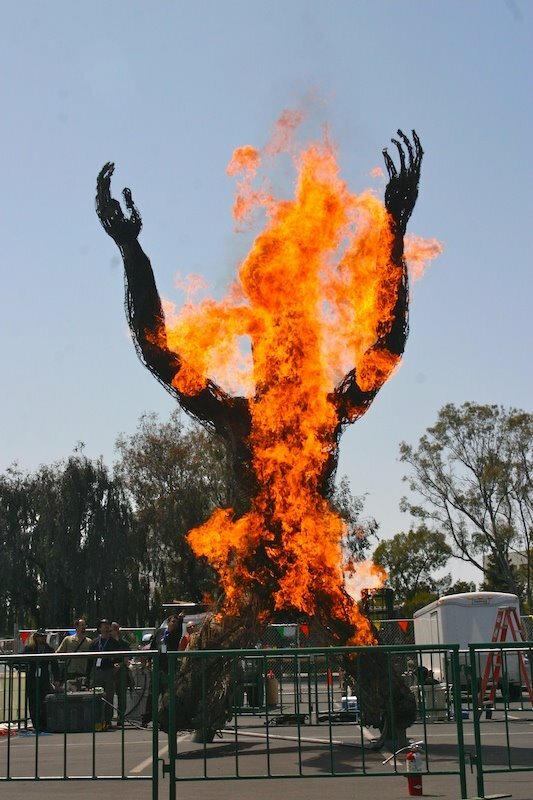 I love when you go to maker faire.. someday if I ever make it out west.. I'm totally going to arrange my travel plans around going to that.